Jim Clark humbled everyone with a crushing drive from pole to victory for his sixth win of the season. Second-placed Jack Brabham was over 100 seconds behind at the finish, with third-placed Richie Ginther the only other driver able to finish on the lead lap. 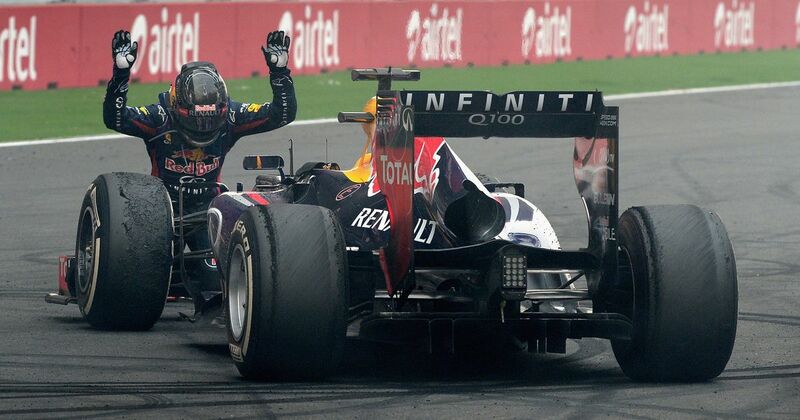 50 years later, Sebastian Vettel became the youngest four-time champion with victory at the third and final Indian GP. He put in a typically dominant drive (this was his sixth win in a row) to beat Nico Rosberg by almost half a minute, while Romain Grosjean drove well to go from 17th on the grid to third at the finish. Vettel celebrated in emphatic style by driving to the pit straight and doing donuts in front of the main grandstand before getting out and bowing to his car. Of course, the FIA didn’t like that a driver was having fun and reprimanded him for not going straight to parc fermé, as well as fining Red Bull €25,000. Luigi Piotti (born 1913) started six races in a Maserati in 1956 and 1957, with a best finish of sixth in the 1956 Italian GP. Dave Charlton (born 1936) had an F1 career that spanned from 1965 to 1975, but in that time he only started 11 races, most of which were at his home grand prix in South Africa. 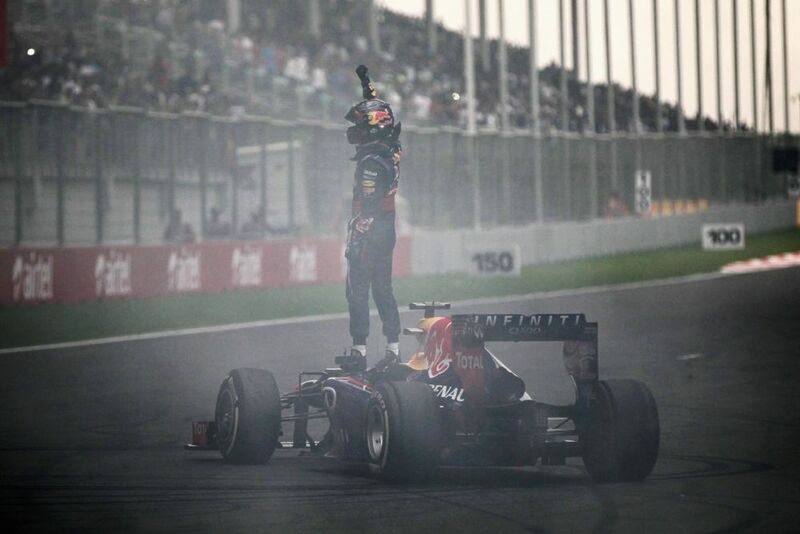 Although his best finish was only 12th, he did manage to win the South African F1 championship six years in a row.